The above quotation was lifted from one of my favourite books, Patrick Süskind’s Perfume. I don’t want to give anything away because this book is a truly great read; suffice to say, Perfume is a beautiful story about the incredible power of scent. We all know this power: the way scent can influence moods, lure a memory out from hiding, set the tone of a space, etc. 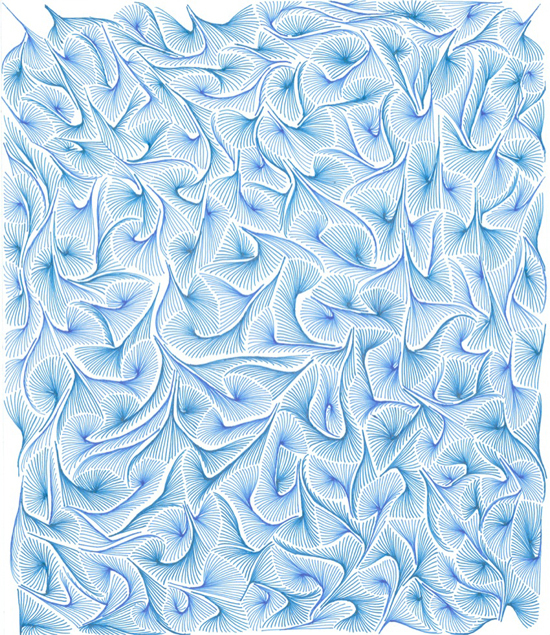 Scent is an influential thing, yet we don’t hear too much about it in art or design. That's why the work of one young Icelandic artist has caught my attention. Andrea Maack is a visual artist who has facilitated an amazing and unexpected collaboration between the visual and the olfactory realms. In July 2010, Maack debuted a line of fragrances for an exhibition titled Eau de Parfum. 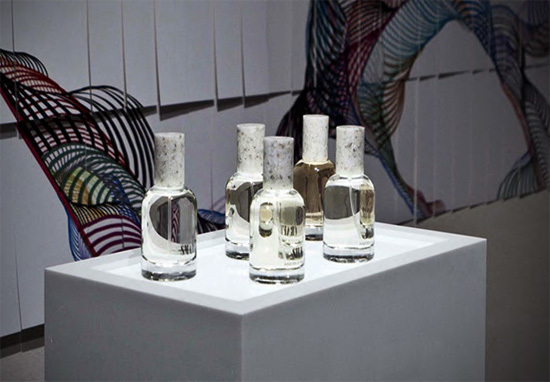 Each fragrance in the show began as a visual work; Maack created a series of intricate, delicate drawings in pencil and ink and handed these works off to perfumers as a kind of briefing. The perfumers then created scents inspired by solely by these images. Maack works closely with her perfumers while still allowing them to exercise their full creative talents as her collaborators, making this a really wonderful and true partnership. I had the opportunity to smell of a few of the scents here in Reykjavik and they really are fantastic. It’s easy to see (or smell?) why this project has been such a great success since it's debut. Maack’s perfumes are currently available at a few select locations in Europe and North America. Check out the store locator on her website for a retailer near you (she also has an online shop). All images courtesy of andreamaack.com. 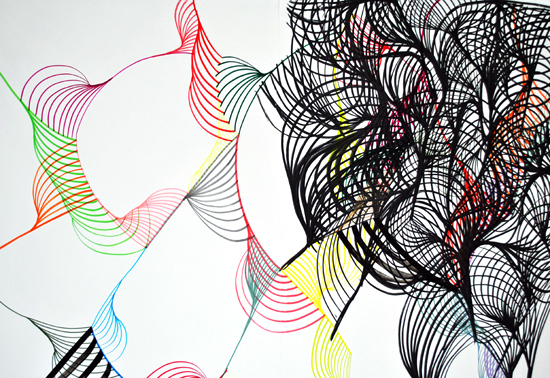 Julie Pasila is a Canadian multidisciplinary artist & writer. She holds a Master of Fine Arts in Documentary Media from Ryerson University, and a Bachelor of Arts in Studio Art &amp; English Literature from the University of Guelph. She is currently available for freelance assignments and exhibitions in Canada and abroad.